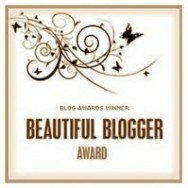 A World of Words: Somebody gave me an award today! Pain and Triumphs - this is my best friend's blog. She's only written one post so far but she always gets a mention from me! Interesting is such a subjective term and I am just a 'normal' person, but I'll try my best! 1) I have a PADI qualification to scuba dive up to 12m. 2) I can't watch 3D films as I'm blind in one eye. 3) When I was 13, a poem I wrote won a Harry Potter competition - I got a signed copy of the first Harry Potter book, as well as seeing the first film in Leicester Square cinema. 4) I love family history and, at one point linked myself to William the Conqueror! I've since deleted loads to make sure everything's accurate though. 5) As a child, my dad once threatened to make me sleep in the garage because he caught me reading when I should have been sleeping... again! 6) I surprise people with my sense of humour - they expect me to be quite boring/innocent, but I've been told I have a very dirty laugh! 7) I tend to drive my family and closest friends wild because I hum a lot. I have got a lot better though, in my defence!